The Leading 6550ST Air Seeder provides a huge 550 bushel capacity, and the flexibility to use it all! The Leading 6550ST Air Seeder is balanced and tested to ensure both hitch weight and ground compaction are within the Producer's parameters. The Leading 6550ST Air Seeder provides a number of Tire Options which ensure minimial compaction, even when this behemoth is full. 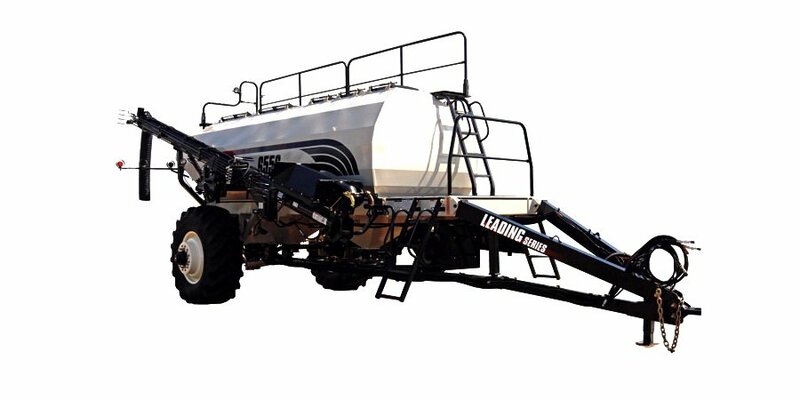 The Leading 6550ST Air Seeder Integral Tank System provides industry leading efficiency of the tank capacity. The Leading 6550ST Air Seeder is equipped with the 10" Deluxe Load/Unload Auger that will greatly reduce your fill times.